I stayed in Santorini Breeze Hostel. It was by no means the most luxurious place to stay in Santorini, but it was cheap and was right next to the beach (which is the entire reason you go to Santorini). The best part of all of this, and yes I am going to start with this, is the sweet little bakery down the street. No kidding I was in Santorini for 4 days and I had every meal at this bakery except for two. It’s called Santa Irini Bakery. Even if you aren’t staying in Perissa you need to go to this place. The selection of pastries, cookies, mini pizzas, and fresh squeezed orange juice was off the charts and everything was SO GOOD. The donuts were the size of my face, it was incredible. The owner and his family are there 24/7 (because it’s open 24/7…holla!) and they are the most precious, hard working family. We visited so much that when we left the owner so tenderly and in the most fatherlike way held our faces and gave us hugs (does that sound creepy? It really wasn’t creepy at all I swear). I will neither confirm nor deny that I cried. Once she arrived we Uber-ed to the port where we ate breakfast that included 2 toaster waffles and melted chocolate. Sound yummy? It wasn’t, trust me. Regret 100%. 5 hours later, we docked in Perissa and took a shuttle to our hostel. 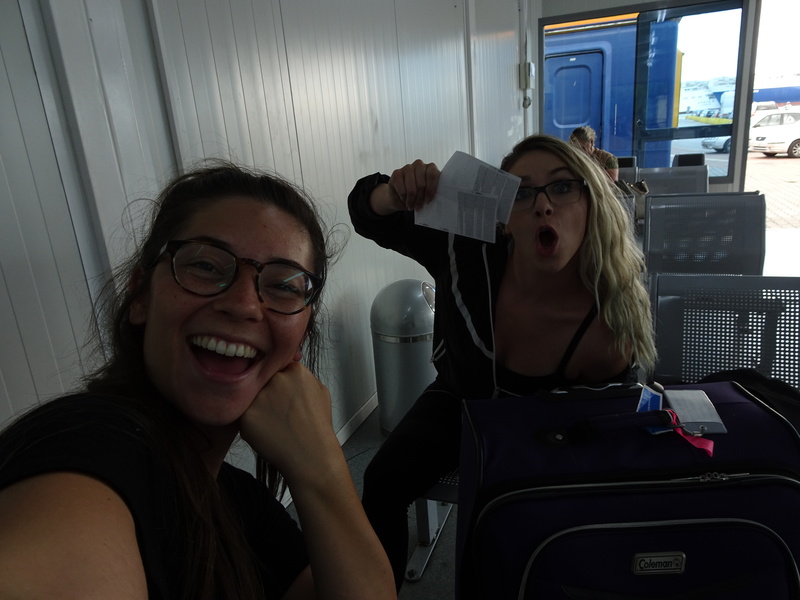 Upon arrival my friend and I met the coolest girl in our hostel room who is still someone I talk to almost every day (an amazing perk of staying in hostels… you meet the best people!). despite it being the most AMAZING beach, it was pretty empty. 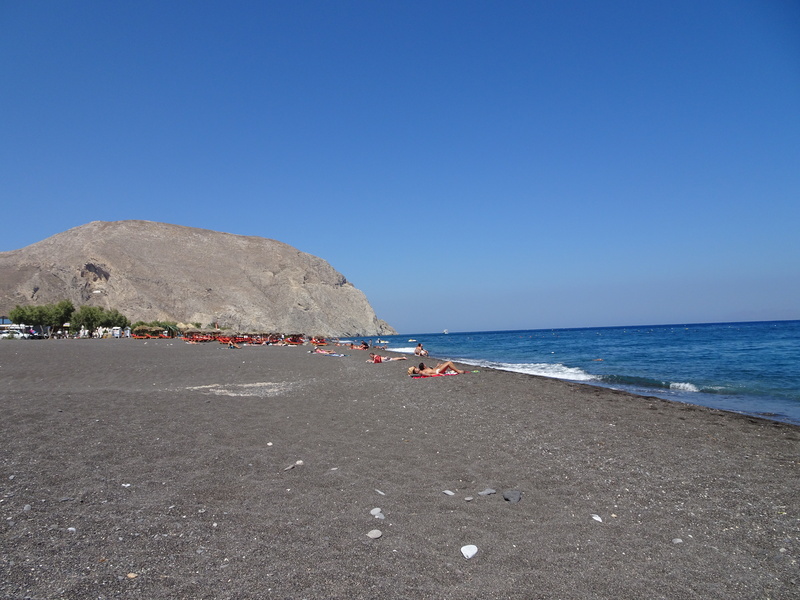 A lot of good beaches are packed towel to towel, and even during peak season the beach in Perissa wasn’t packed. the water was the perfect temperature. Not icy cold, and not remnant of stale bath water. Alright so back to things going horribly wrong. When traveling its important to not rely STRICTLY on wifi. A lot of places do have free wifi, but its kinda awkward to ask for it and when you are out roaming the streets and get lost what do you do then? Even if you buy a SIM card from the country you’re in or get an international plan with your phone carrier, it is still no guarantee that you will always have service. We rented two ATVs, split the price 3 ways, and alternated drivers. 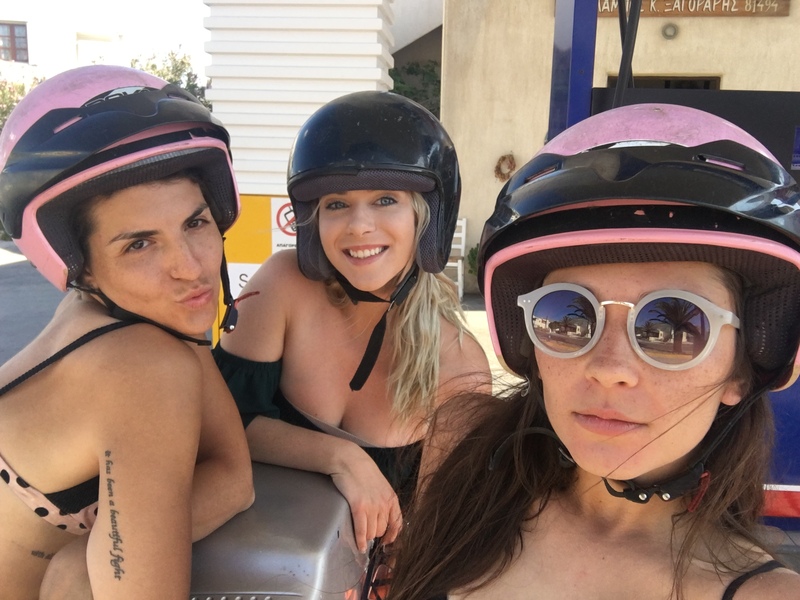 One of the ATVs we rented was substantially slower than the other and this is the root of why this night ended so…interesting. Long story short, we were trying to go to Oia but ended up FAR off the beaten path, AND our ATVs got separated. Two of us (including me) ended up at what we later found out was a winery, and our sweet friend, all on her own, actually made it to Oia. After sending her our location she came down to ~wherever we were~ to show us the way back to Oia. At this point, we had missed the sunset completely and it was well into nighttime. The next day we spent at the beach (again), except this time the other ATV broke down. It sounds like I’m joking, but I’m really not. That did happen. This is real life. In light of this inconvenience, we decided it was time for our “treat yo’ self” meal. You have to have one everywhere you go, trust me. It’ll keep you sane and make you believe that you really can survive off of bread because that “treat” is coming soon. 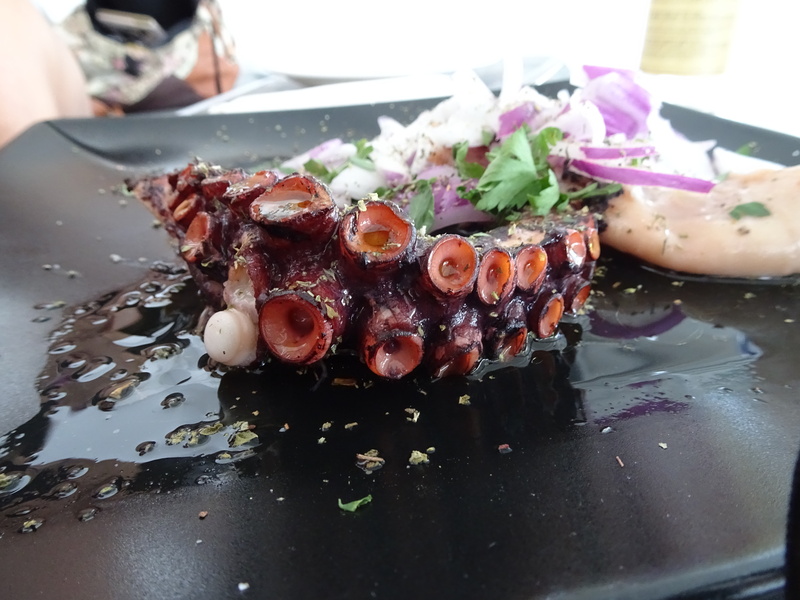 We decided to share a few items, one of them being octopus. Truly this was the most “out of the box” thing I have ever eaten and I do not regret it a single bit. The tentacles were the best part and certainly a worthy “treat yo’ self” meal. 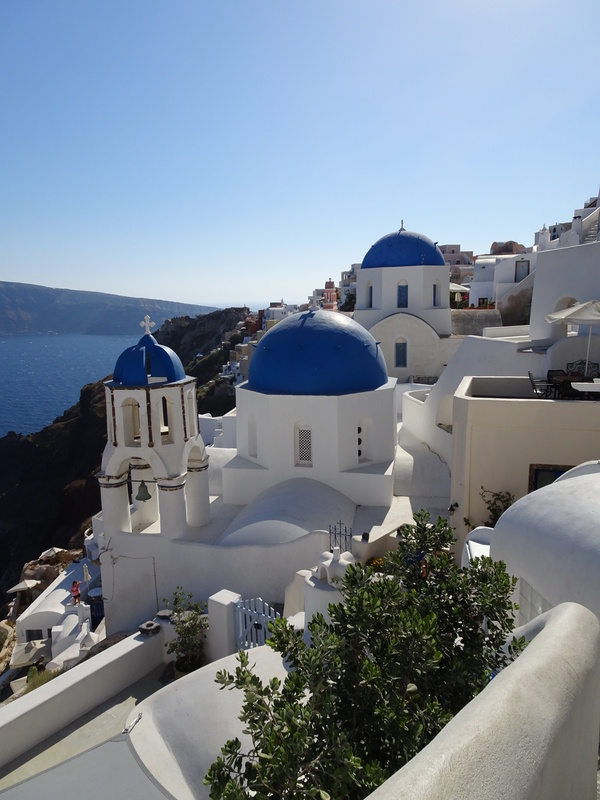 Everything in Santorini is all white – I think it has something to do with locals wanting to be aesthetically pleasing against the blue ocean? Whatever it is, its genius and made my tan and the ocean look stellar. This beach would be a really great place to snorkel if that is something you enjoy doing. I wouldn’t say theres A TON of reefs to see but you can clearly see that there is something going on below the surface. If you want to visit Red Beach, you MUST, I repeat MUST!!! arrive early. We arrived at about 9 am and there were already people setting up. By noon there were hardly any spaces for more people. 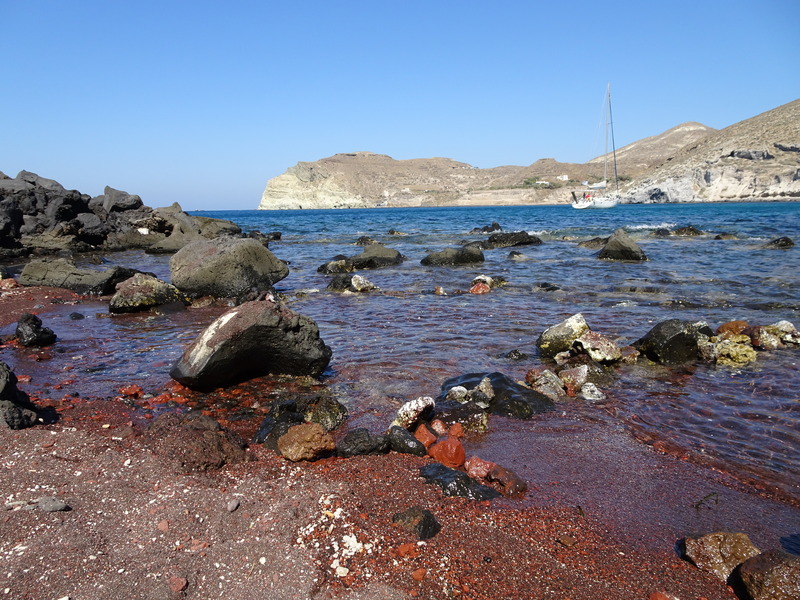 After spending nearly the entire day at the Red Beach, we finally saw Oia in all its glory. Let me tell ya something… pictures make it look a lot cooler than it really is. 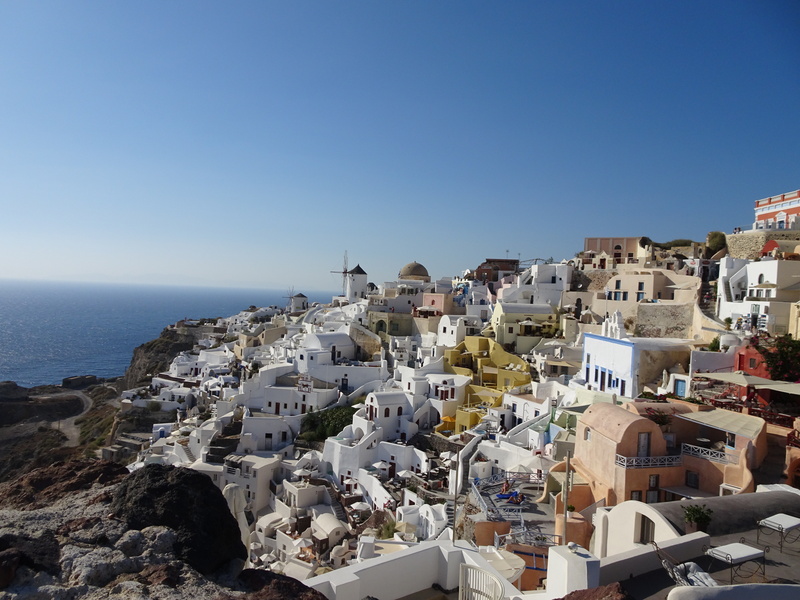 Don’t get me wrong, Oia is incredibly beautiful and I don’t think your trip to Santorini will be complete without it, BUT don’t bank on the land of the blue domes being the highlight of the trip. Realistically, there are about 4 blue domes among hundreds of all white structures and houses built up against the cliff. 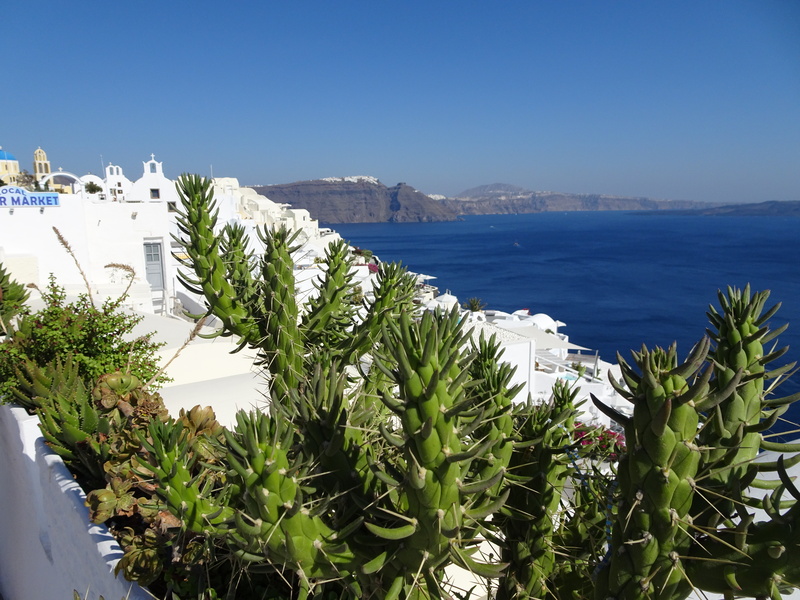 Here’s the domes (because no Santorini post is complete without them): Try not to become completely infatuated with these little guys because the true star of the show is the Old Town. The “new town” is iconic with the all white structures and blue domes, but the Old Town is just as beautiful, if not more. There’s just something about it that I was drawn to much more than the newer side of Oia. I love the windmill in the back and all of the little curves and colors in the buildings. 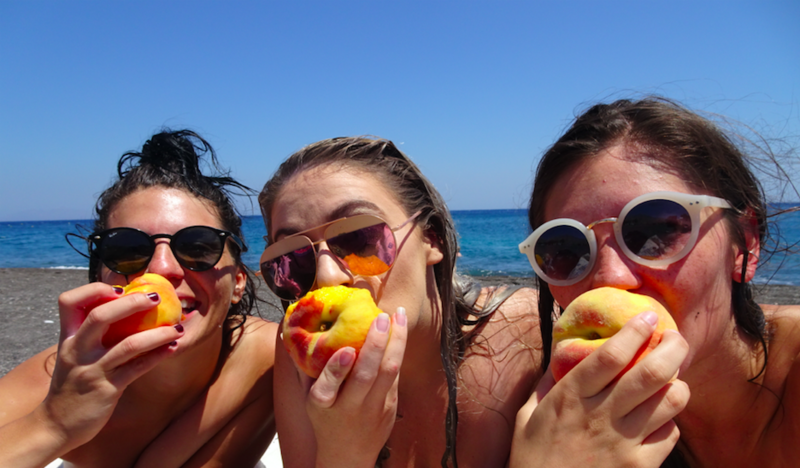 It was a packed couple of days and I can truly say that Santorini is a magical place that everyone needs to see. 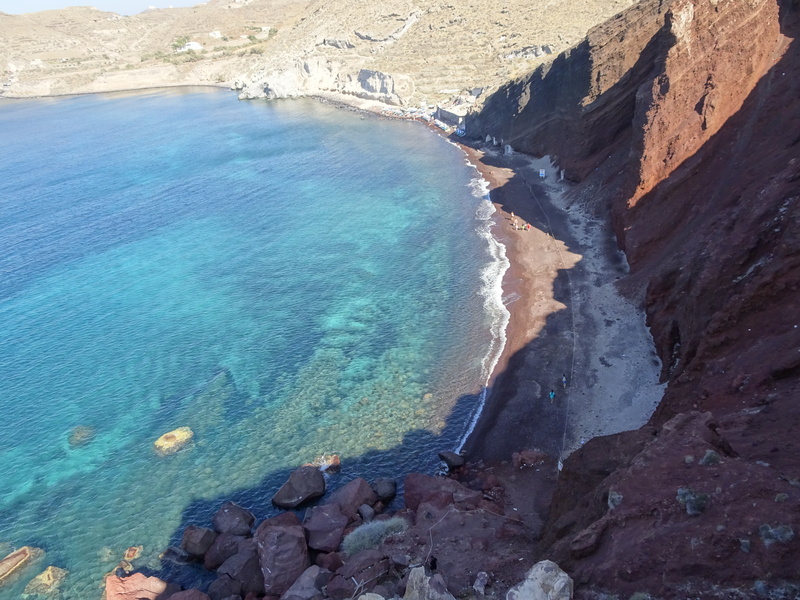 Visit all of the beaches on the island, spend an afternoon in Oia, and check out the Santa Irini Bakery. An addition note for women: As you should in any foreign country, be aware of local men who prey on tourists. On an island like Santorini where the income of locals basically depends solely on tourism, they know how to identify tourists. If a local asks you out on a date or invites you out to a bar with friends, be careful. 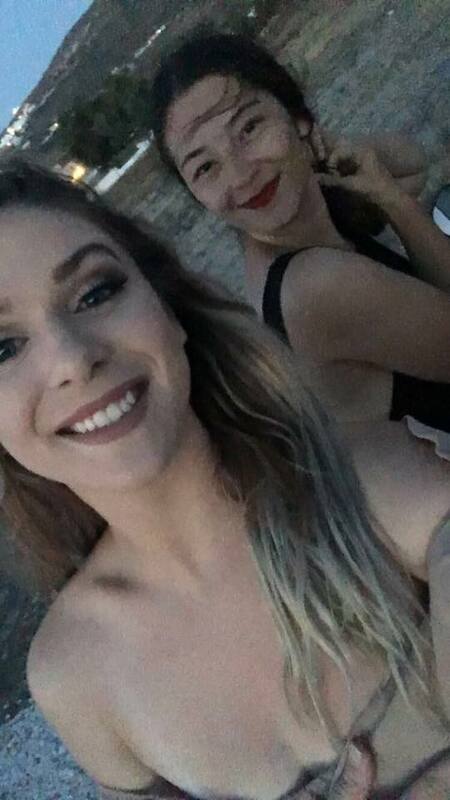 They know that (**some**) women on vacation like to “be free” and will take advantage of you. Even if it seems as though they are just being nice, I urge you to take caution. Sure it would be fun to have xyz experience with a local on your vacation, but something harmless could turn into something dangerous in a matter of seconds.